It's supposed to be a kitchen game changer. But was it? If you're anything like me, you probably spend way too much time cooking and finding new recipes and techniques on Pinterest. And one that has recently been popping up more and more is sous vide — or ~precision~ — cooking. It's basically just a French cooking technique where food is placed in sealed containers then cooked slowly in a water bath. The water is heated to a specific temperature (thus the "precision" part), and loyalists swear that it results in perfect food every time. You don't have to worry about overcooking, undercooking, or constantly watching your food — because the set temperature is supposed to make things pretty foolproof. 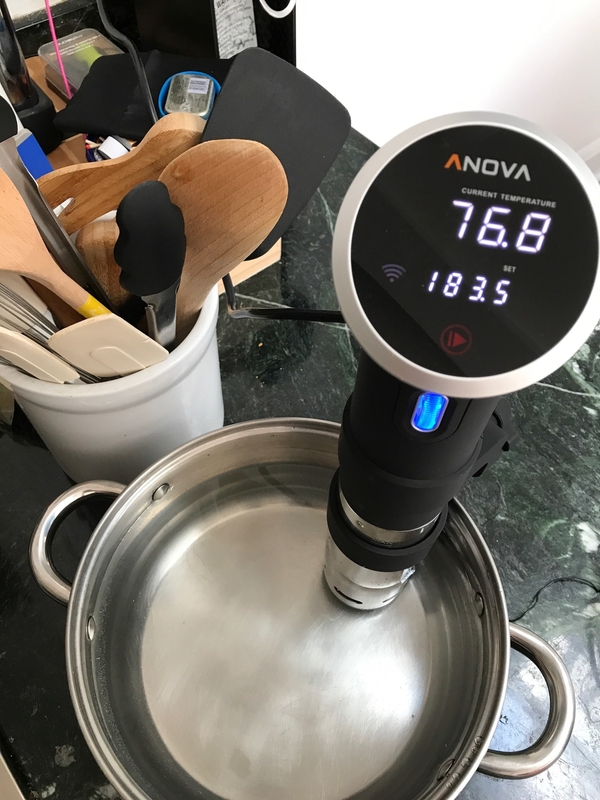 So I couldn't help but wonder...could sous vide possibly live up to the hype? The whole concept seemed pretty fancy IMO — but others said it was actually super easy and practical for an everyday cook. Naturally, I had to give it a try. So, one hot summer day when I had no intention of turning on my oven, I snagged a sous vide precision cooker and got to work. 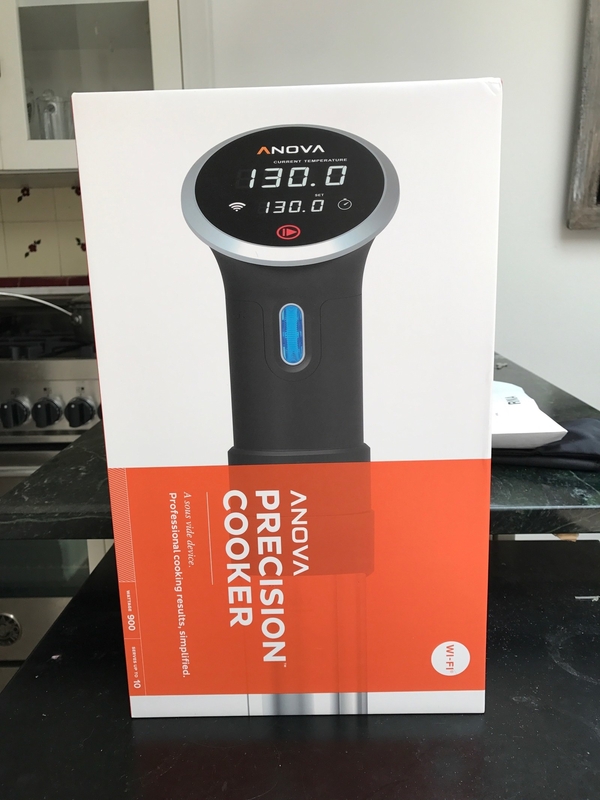 The model I used was from Anova — this sous vide machine costs $120, and TBH, I was skeptical of the price tag. Other than my $10 Veggetti vegetable spiralizer (ignore the unfortunate name) and my $17 electric wine bottle opener, I don't often spend a lot of money on extra kitchen appliances. But for a product that could supposedly turn me into the next Julia Child, churning out perfectly cooked dinners on the reg, I was willing to give it a try. First step: I unwrapped my sous vide machine and played around. Setup was actually really easy. 1. 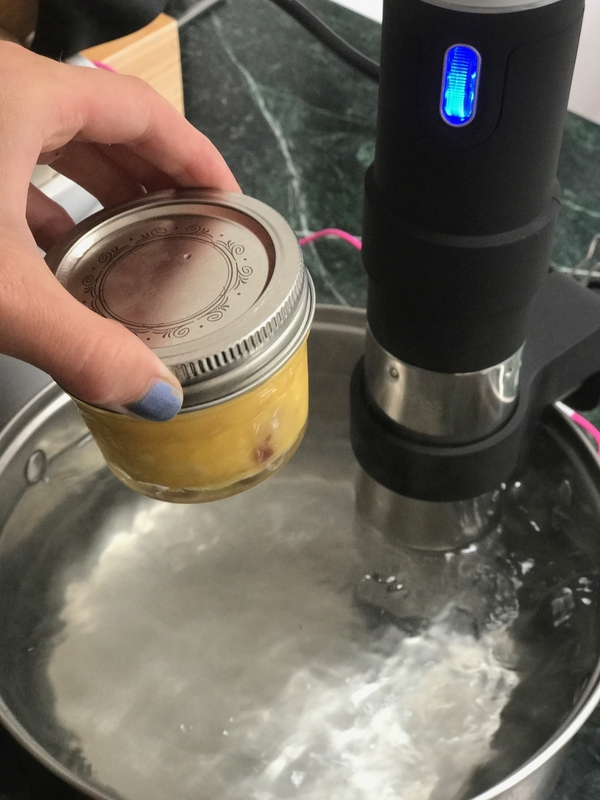 Fasten the sous vide onto the side of a pot using the adjustable clamp. 2. Pour water into the pot so that it falls between the "min" and "max" lines on the neck of the appliance. 4. 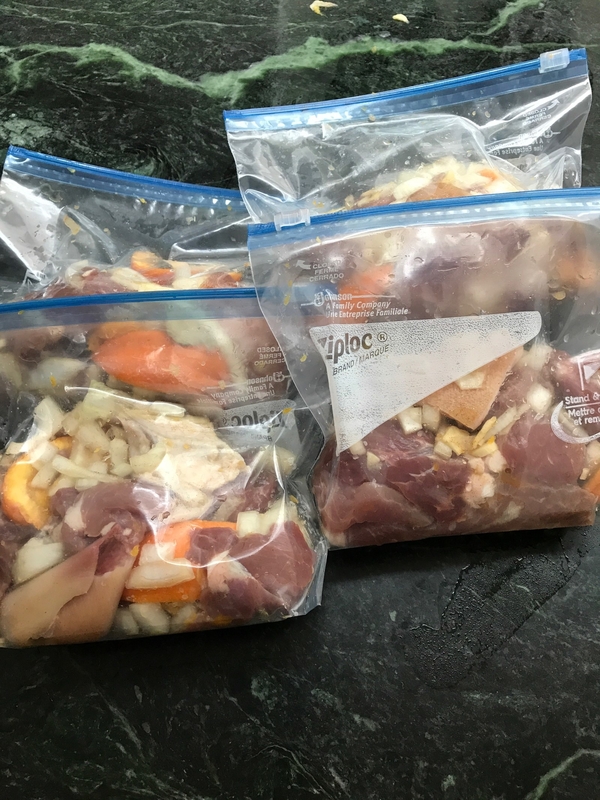 Once the water is heated, seal your food in plastic bags or containers (using the water displacement method) and drop them into the pot of water. And you're good to go! One useful thing about this model is that it hooks up to a free app that lets you monitor your food when you're out of the kitchen. 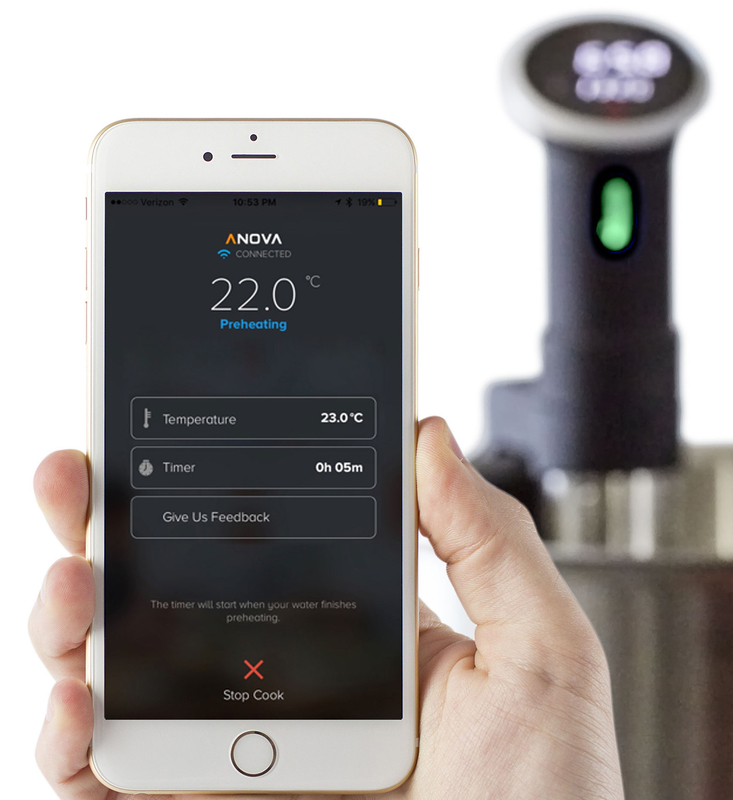 It uses Bluetooth and Wi-Fi to connect to your sous vide cooker so you can set the cooking temperature and timer from your phone. (As and long as you have Wi-Fi, you can stay connected.) It also provides lots of cool recipes that you can browse through. Recipe #1: Individual egg cups that you can prep ahead of time and take on-the-go. THE IDEA: I love breakfast, but it isn't a meal that I put much time or thought into. So I'm always looking for recipes that look great but don't take much effort. I stumbled upon this Starbucks copycat recipe on Pinterest for Gruyère, bacon, and egg cups. And with just 10 minutes of prep time? Sign me up. THE PROCESS: I set my sous vide to 167° (according to the recipe instructions), and while it heated up I fried some bacon and mixed eggs, cottage cheese, and shredded cheese in the blender. 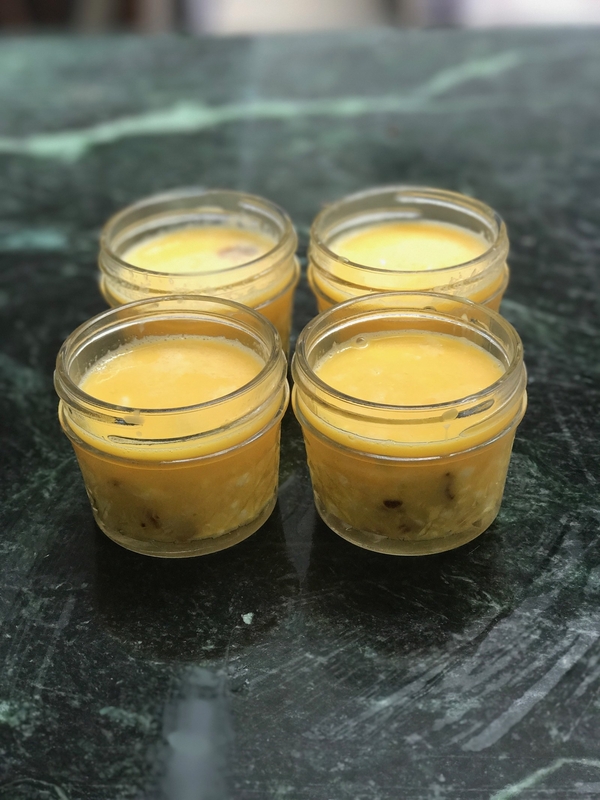 I filled 4-ounce canning jars with some crumbled bacon and the egg mixture, fastened the lids, and dropped the egg cups into the pot of water with the sous vide attached. The directions said to cook the eggs for 35 minutes, but when I checked on mine, I noticed they were still pretty runny. I let them cook for 15 more minutes until they were completely set. THE RESULT: Although I had to adjust the cooking time, the finished egg cups tasted great, and they were really easy to make. Obviously, frying some bacon and scrambling eggs is even easier, but these egg cups were a step up from the ordinary: They were creamy with a different texture than regular eggs, almost like a soufflé. They're especially great for a portable breakfast you can make ahead of time, pop in the microwave, and eat on the go. Or, if you're hosting friends for brunch, this is an easy meal that just seems impressive. Recipe #2: Buttery glazed carrots that make a perfect (and addictive) veggie side. THE IDEA: Roasting vegetables can take a long time, and in my experience it's very easy to screw up. If you leave veggies in the oven for three minutes too long, they'll come out burned to a crisp. But supposedly cooking veggies in a sous vide allows them to evenly cook without getting mushy. At the same time, the temperature of the water bath is low enough that it's hard to overcook your food. 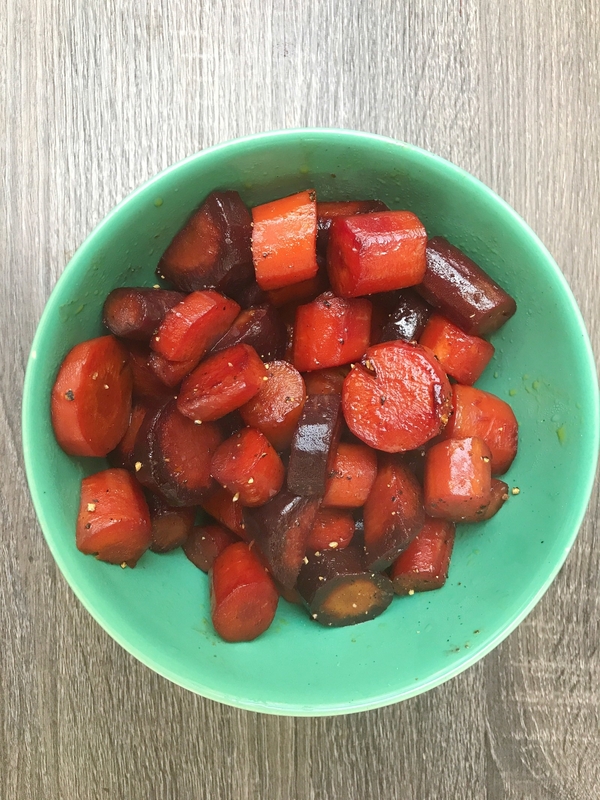 THE PROCESS: I opted for a recipe I found on Serious Eats for glazed carrots. 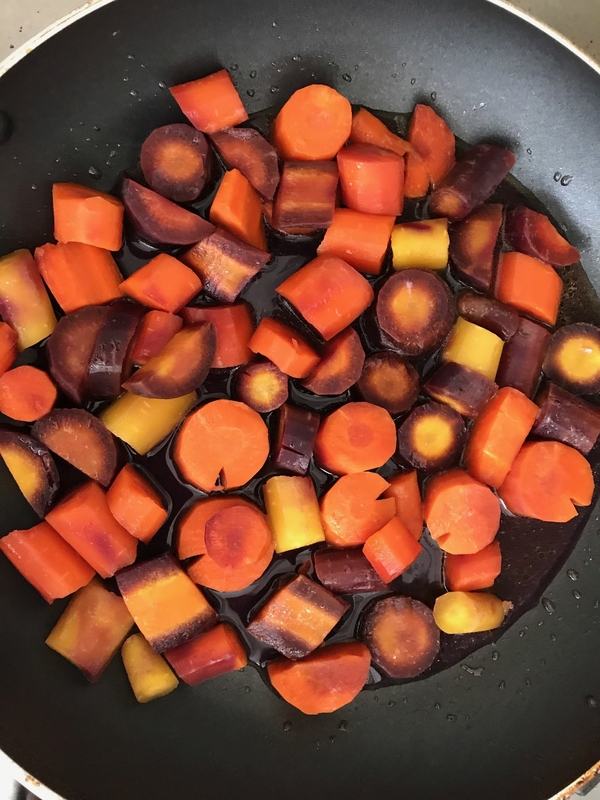 I love vegetables, but I especially love vegetables that taste like dessert, which is what happens when you slow-cook carrots with butter and sugar. 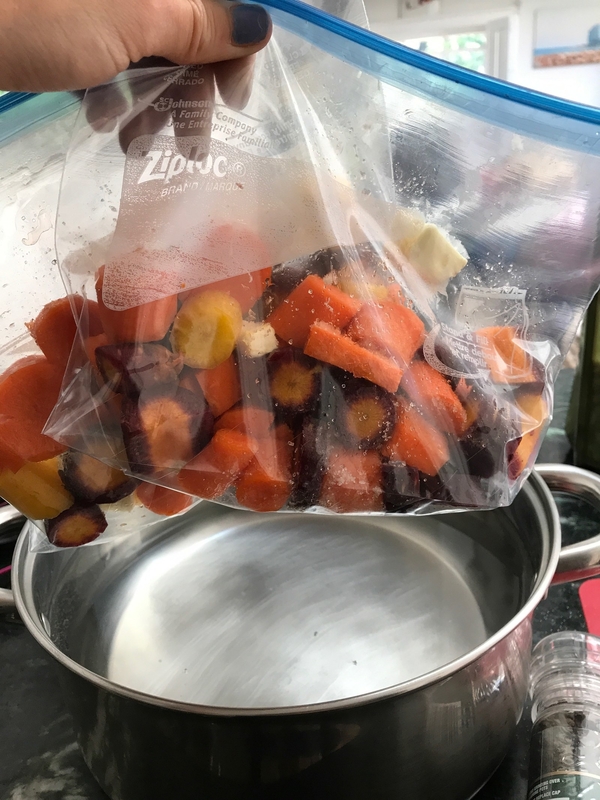 After setting the sous vide to 183°, I peeled and chopped some multicolored carrots (you can also use baby carrots), then poured them into bags with butter, sugar, and kosher salt. When the water hit the right temp, I sealed the bags and dropped them in. After an hour, I removed the bag, emptied the carrots into a skillet, and finished them for two minutes until the glaze thickened. THE RESULT: These carrots were crazy good. The texture was perfect: soft and tender but still a little something to bite into. And the buttery, sugary, salty glaze was perfect. This is the type of veggie side dish you want to make for your holiday table, because even the pickiest of veggie-hating eaters won't be able to resist it. Obviously, the recipe was slightly more intensive than throwing some veggies in olive oil and sautéing them, but you could definitely taste the difference. 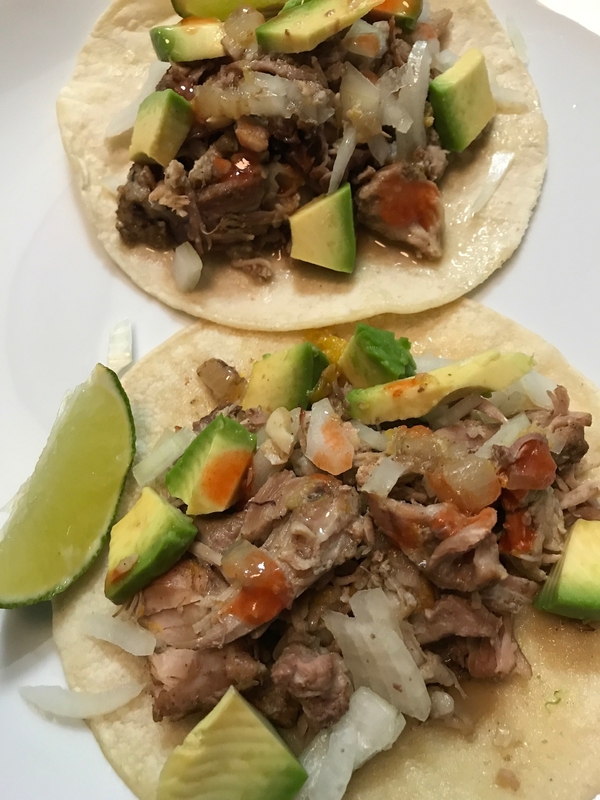 Recipe #3: Carnitas that are supposed to be fall-apart tender and juicy (and that won't overcook). much like a slow cooker or oven — supposedly yields super tender, flavorful meat. Also cooking meats like pork or steak submerged in water (versus in an oven or pan) helps avoid moisture loss. 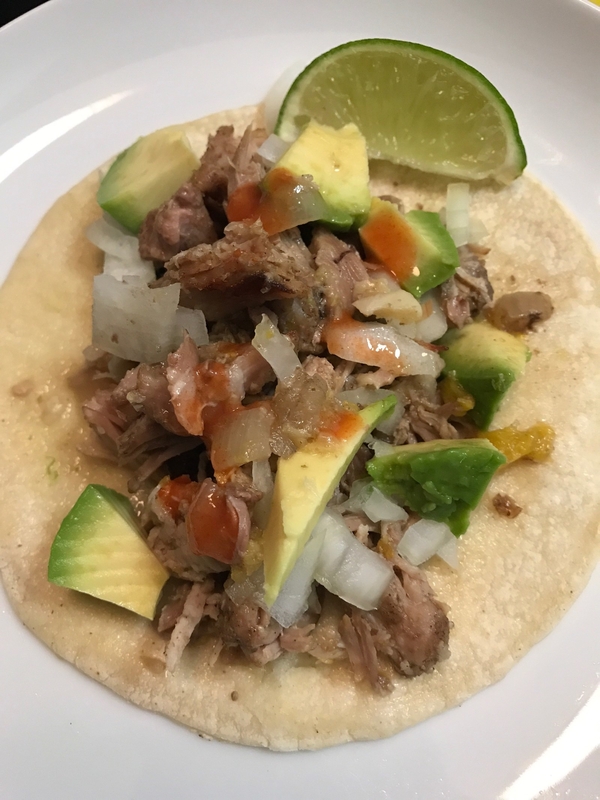 I read up on sous vide carnitas, then found yet another Serious Eats recipe that looked promising. 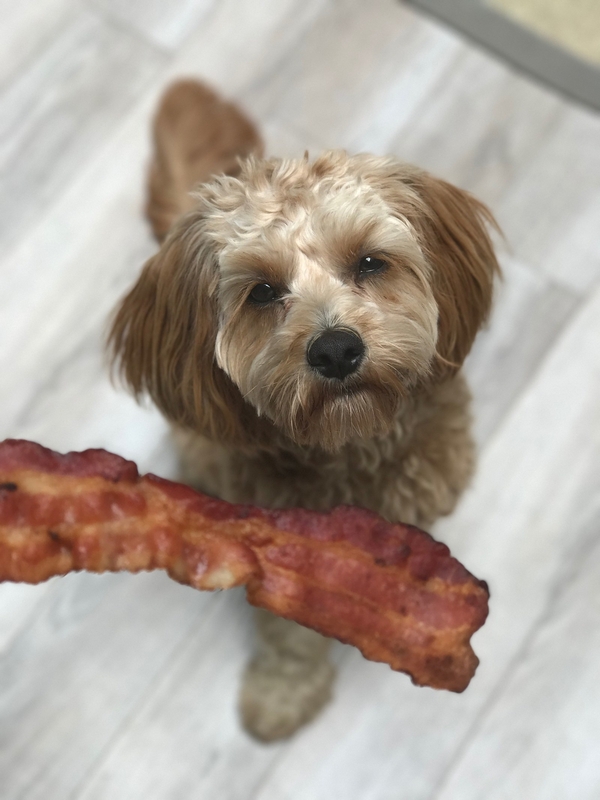 THE PROCESS: First of all, I will tell you that I've never cooked pork before — except for bacon. So coming home from the grocery store with a huge bone-in pork shoulder was pretty daunting. But still: I set the sous vide to 185°, put my apron on, then said a little prayer. I carved the pork shoulder into slabs, chopped up the aromatics, then seasoned everything with salt. Then I divided the pork into bags and lowered them into the pot to cook. I will say that depending on how big of a pot you have, you could cook everything in one bag. But I didn't have a large enough stock pot, so I used a sauce pan like this one, refilled the water as needed, and used multiple bags to keep everything submerged. 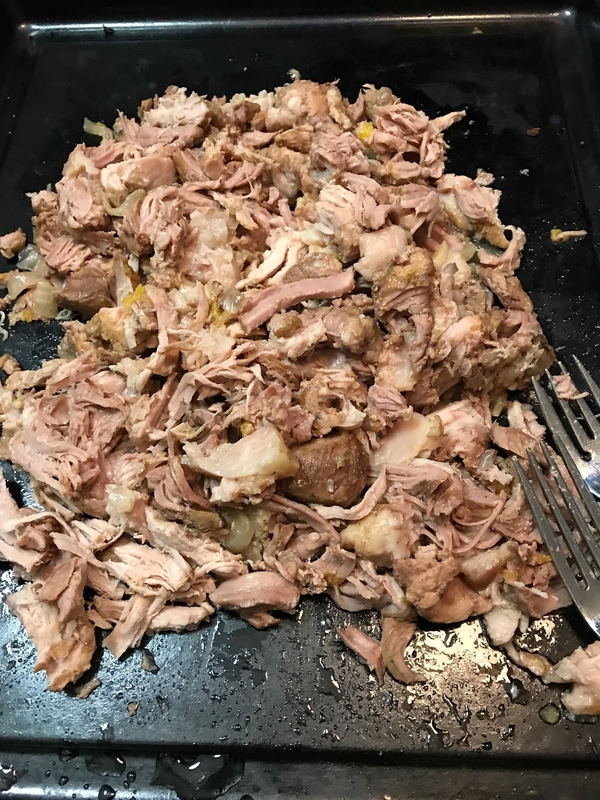 Once they were in the pot, I said goodbye to my carnitas while they cooked all day and made my apartment smell like heaven. After eight hours, the pork shredded easily with two forks — and I finished them off with a quick broil to make the meat extra crispy. THE RESULT: Just call me Julia Child, people. It might have taken all day but I made crispy, tender, melt-in-your-mouth freakin' carnitas. If you happened to be near the Gramercy area, you probably heard me shouting it from the rooftops. In fact, I know they were extremely delicious because when I tried to eat some for lunch the next day, I realized that my boyfriend had stolen the leftovers to take to work with him. At first I was upset (and hungry), but he shared with his coworkers, all of whom were showering my carnitas with compliments. So there ya have it. 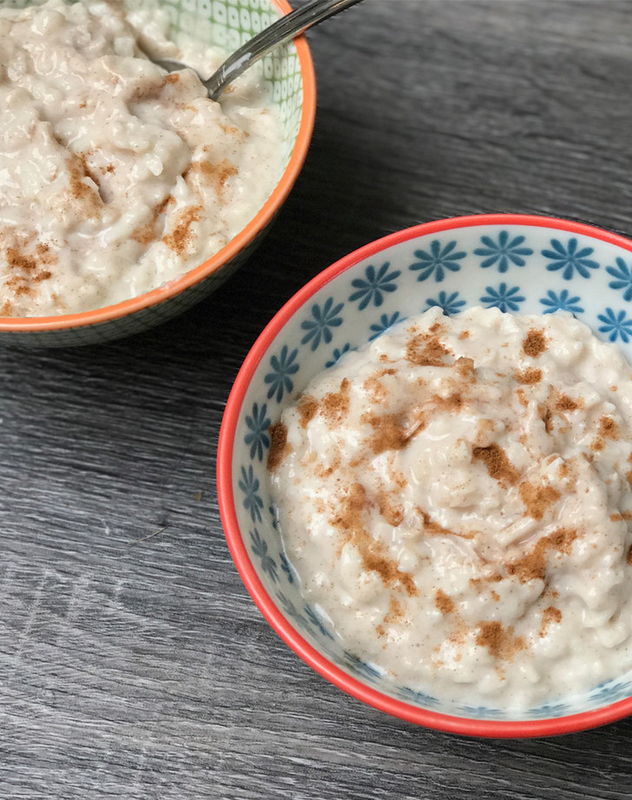 Recipe #4: Coconut rice pudding that serves a crowd (and tastes better than the store-bought kind). THE IDEA: One interesting way that people use sous vide machines is to make desserts. Of course, you can't sous vide any dessert. Crispy or flaky foods like doughnuts and pies won't work. But when it comes to pudding, crème brûlée, poached fruits, and even ice cream, sous vide–style cooking is apparently a solid bet. 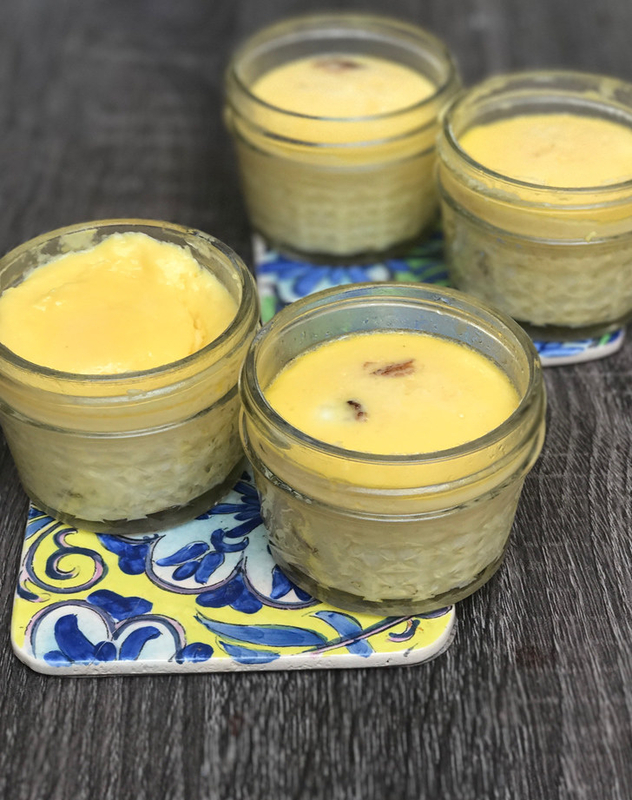 THE PROCESS: I found this recipe for coconut rice pudding on the Anova app. 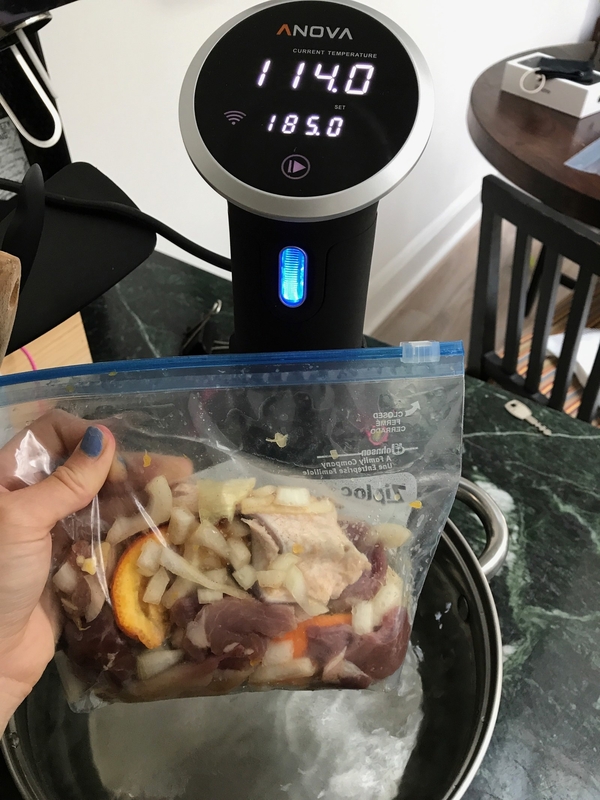 The instructions seemed simple enough: Set the sous vide to 180°, combine all the ingredients in a plastic bag, submerge it in the water bath, and let it cook for four hours. THE RESULT: The rice pudding tasted great, but it took double the amount of time the recipe said it would. I tried the pudding after four hours and found that the rice was still hard. I ended up cooking it for a total of eight hours before the rice was soft and cooked. But even then, the rice pudding was super runny, and it took about two hours in the fridge for the dessert to solidify into the proper texture. 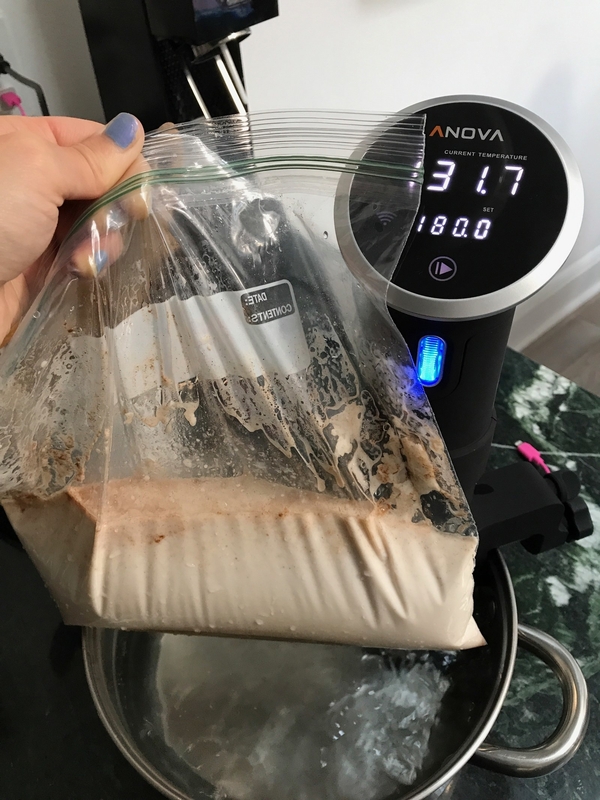 So, if you're looking for instant gratification (like I always am), the sous vide is not your best bet for making dessert. If you don't mind the wait, the end result was delicious. Recipe #5: Orange-cream-pop-infused vodka — because why not? Lol. THE IDEA: PSA — You can use this thing to infuse alcohol. I saw recipes online for everything from bacon-infused vodka to cherry-infused bourbon. 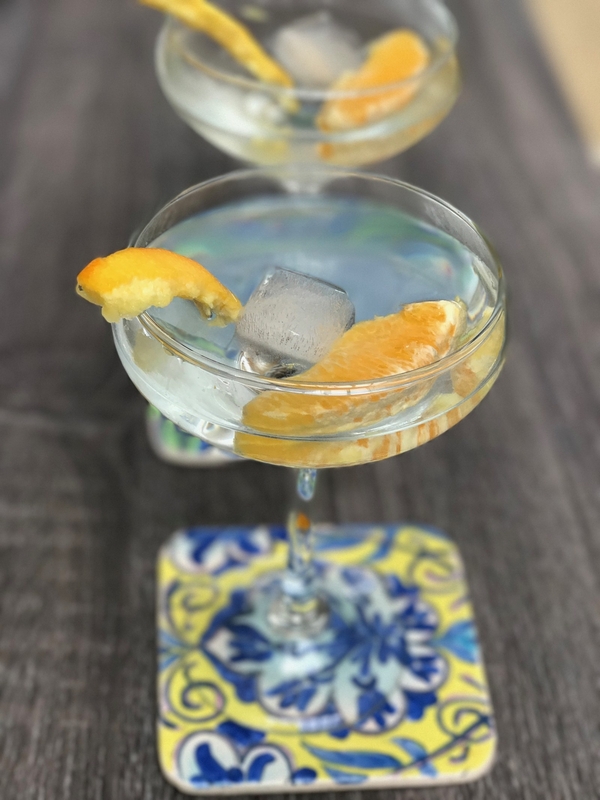 I opted to try making an orange-cream-pop cocktail, which is basically vodka infused with orange zest and vanilla bean. THE PROCESS: As far as making cocktails goes, these directions seemed pretty simple. Peel and zest an orange, then combine the zest, a vanilla bean, and vodka in a mason jar or ziplock bag. Then you'll cook it on low heat for a few hours. THE RESULT: I cooked the vodka for two hours, but I probably should have let it sit longer to really bring out all of the orange flavor. Personally, if I were making this for friends, I would top it off with some club soda and maybe even a splash of orange juice to make it more of a cocktail. (Because as is, you just end up with strong citrus-flavored vodka.) 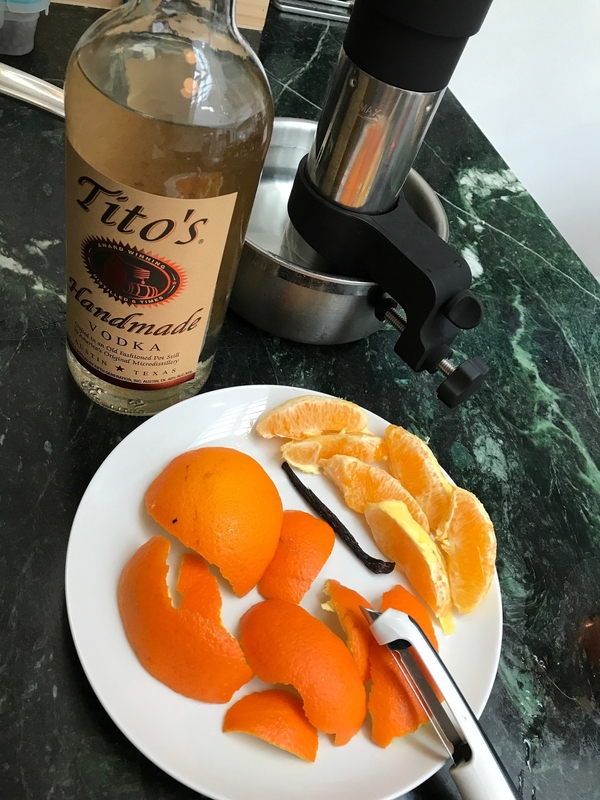 As far as making ~upgraded booze~, this was pretty simple and would be perfect for making something like a spicy infused vodka for Bloody Marys. 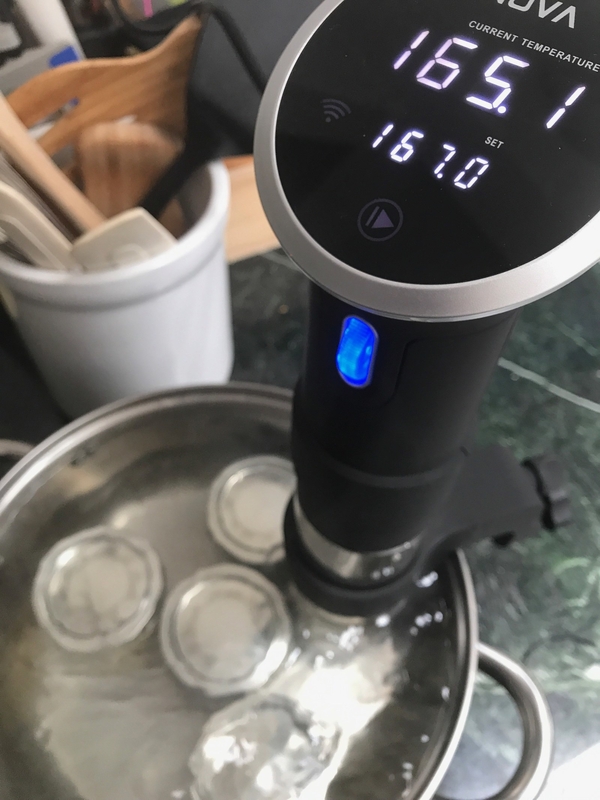 TL;DR: For me, the sous vide was overall pretty easy to use, and all my recipes came out well. I didn't have to stress about overcooking, and everything was delicious. But this low-and-slow style of cooking — which can take all day — admittedly isn't something I'd do on the reg. 1. People who tend to overcook their food. TBH, it seemed pretty impossible to overcook food with this. All of my recipes came out perfectly done. A few had to cook longer than I expected (like the egg cups and the rice pudding), but when I was patient and gave them extra time to cook, the result was great. 2. People who don't mind cooking recipes that take some time. 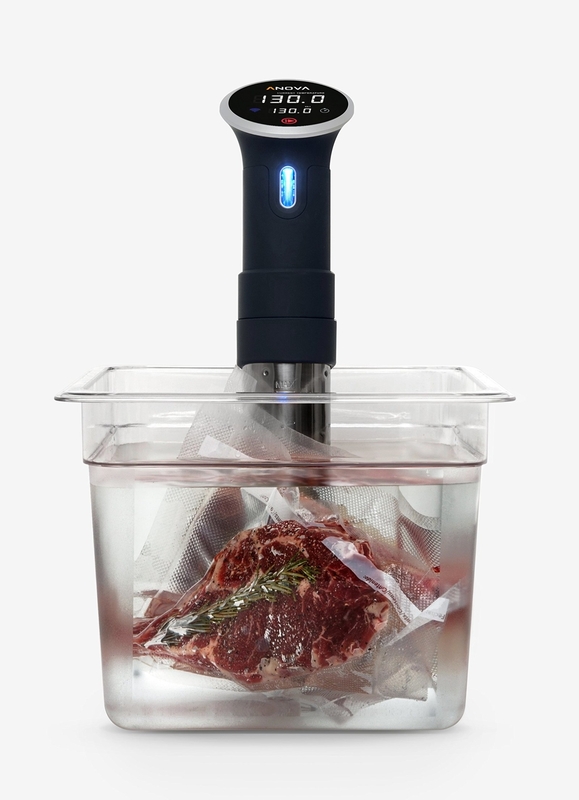 If you're looking for an appliance that helps you cook 30-minute meals, the sous vide isn't it. But if you've got time to spare and you don't mind a longer wait, I'd highly recommend giving sous vide a try. 4. People who won't mind the price tag. As mentioned, sous vide devices aren't the cheapest appliance around. The version I tested was $120, but there are plenty of alternative versions you can buy for less.